Litecoin has been one of the better performing coins over the past few weeks, with LTC recovering slowly from its early January slumps to post some encouraging gains, especially in February. 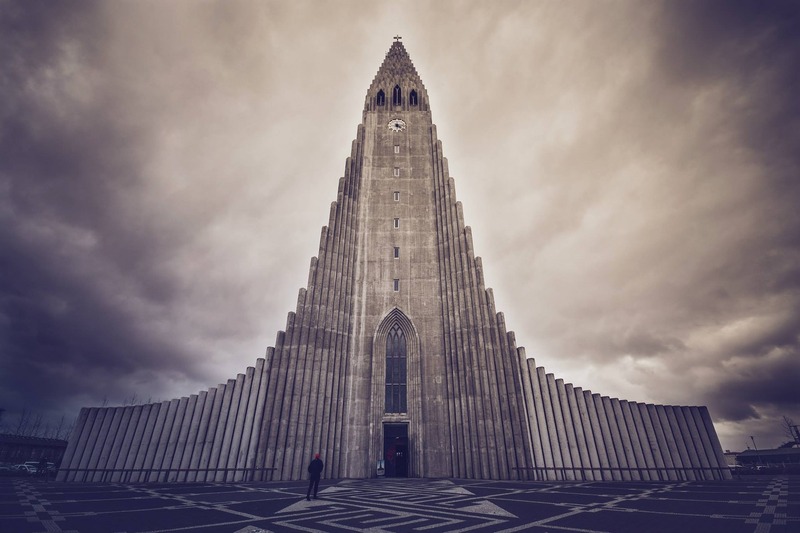 The fact that its forecasts are in sharp contrast to that of other coins in the cryptocurrency market may, however, be due to a set of developments that may have a significant impact on LTC. Litecoin [LTC] has cryptocurrency traders and analysts optimistic, with many expecting a surge in prices soon. In fact, until the morning of February 6, LTC had been posting good gains consistently. At the time of press, the value of LTC sits at $32.75, with a fall of 4.20% in the last 24 hours. However, the bear attack hasn’t dampened optimism about the future of Litecoin among many. This optimism was echoed by noted crypto-traders in the Twittersphere, @Moonoverlord, and @CryptoDonAlt who suggest that a significant bullish run may be in the offing soon. 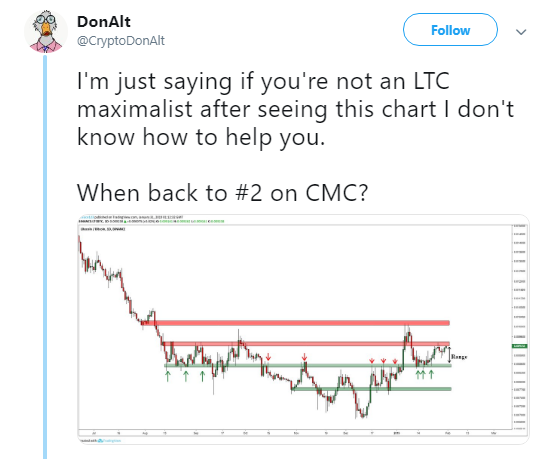 The latter, while pointing to the fact that LTC has consistently breached resistance points, optimistically suggests that Litecoin may be its way to become #2 on CMC again. 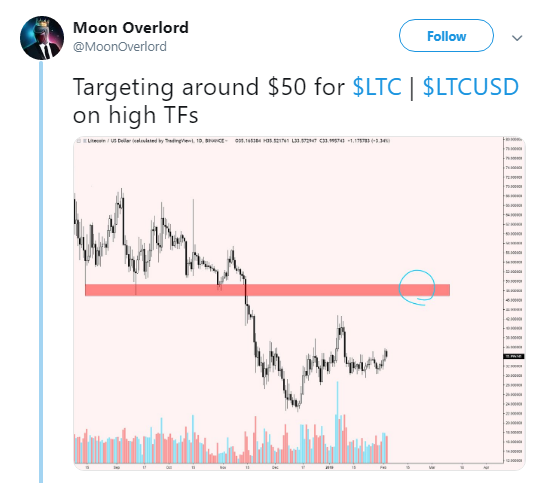 On the other hand, @Moonoverlord has suggested that over a higher time frame, the value of LTC could touch $50. However, there may be some reasons why such bullish movement is expected by many from Litecoin, the silver to Bitcoin’s gold. Charlie Lee of the Litecoin Foundation only recently announced that Litecoin will be pursuing confidential transaction features to upgrade the safety, security and anonymity feature LTC provides its users. In this pursuit, LTC is exploring the implementation of bulletproof MimbleWimble extension blocks, a characteristic of other privacy coins in the market. This solution to Litecoin’s fungibility problems and its corresponding promise of added security and anonymity has thus, supported the bullish prospect of the LTC market. In fact, it was this bullish movement that briefly had Litecoin overtake Tether as the sixth-largest cryptocurrency in the world on 5 February in terms of market cap. 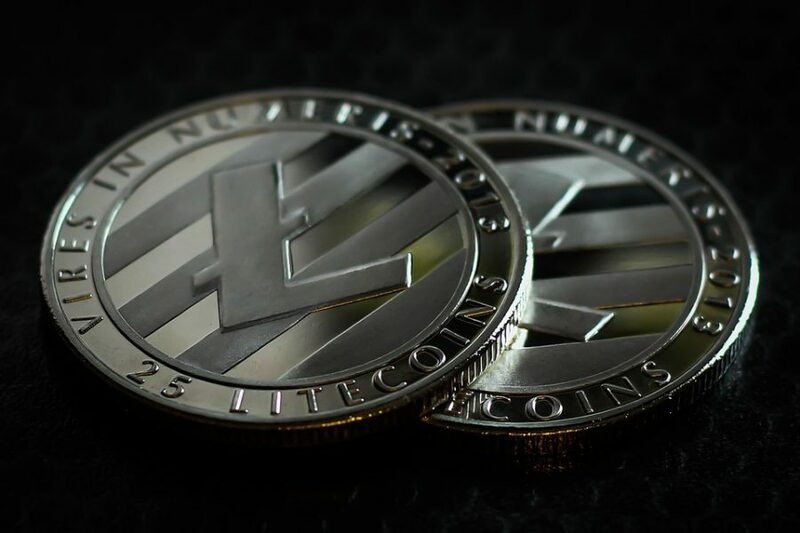 Another reason that may have contributed to the bullish expectation associated with LTC’s performance has to do with the Halving the Litecoin community is expecting in six months. With the mining reward set to be cut by half post the Halving, bullish prospects would push the price upwards while a higher reward can be received. And although there is no evidence to suggest halving itself will have any effect of price [a statement corroborated by Charlie Lee himself], the expectation for one can however, encourage the bulls to push the price of a coin like LTC upwards. Despite the optimism, however, instances such as the fall on 6 February continue to hamper any possibility of Litecoin posting significant gains and breaching the $50 mark anytime soon.